Lilo & Stitch is Disney's 42nd animated feature and could be considered as a small return to the aesthetics of the classic Disney films. Even though there is a lot of Computer Generated sequences in the film, the watercolour backgrounds and the style of animation is reminiscent of the features of the 40's. 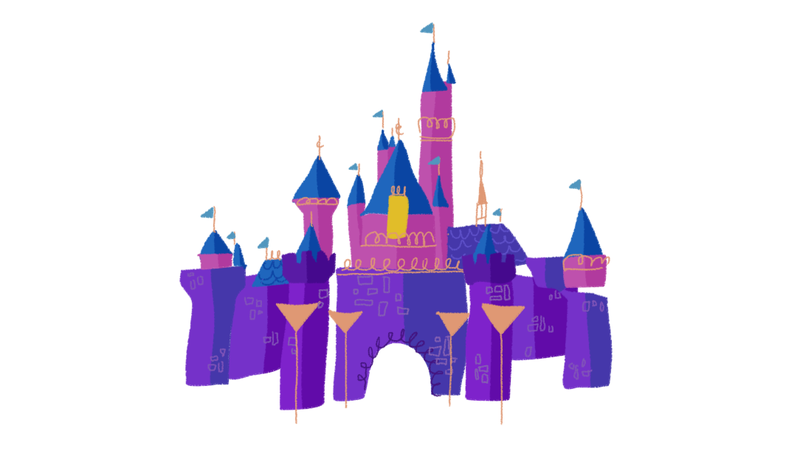 The plot, art direction and even some of the voices were created by mastermind Cris Sanders who pitched the idea while the studio was looking for a new story to develop as a low budget film. Sanders came up with the whole concept (although the story was originally to take place in Kansas) and created a bunch of concept art and character designs which were later taken as the foundation to create the film. Watercolour was last used by the studio during the production of Pinocchio in 1941 due to the difficulties that this medium represents, so it was a big risk that Disney took to create most of the backgrounds with it. 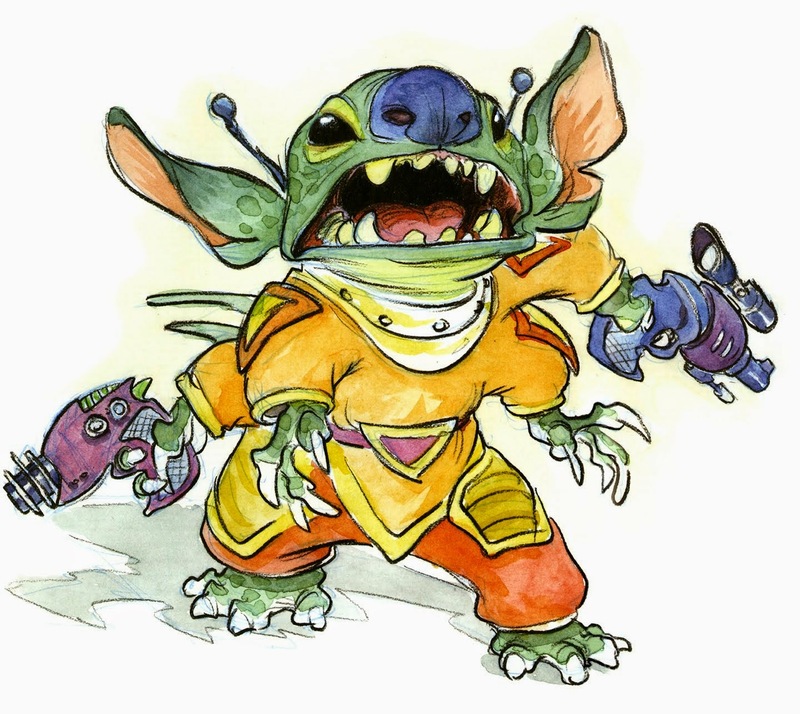 But Sanders had used watercolor to create his images to pitch the idea to the studio, and the medium was so perfect for the Hawaiian setting, that art director Ric Sluiter decided to keep watercolor as part of the production. Looking closely at the environments created for the film, the art is amazing. 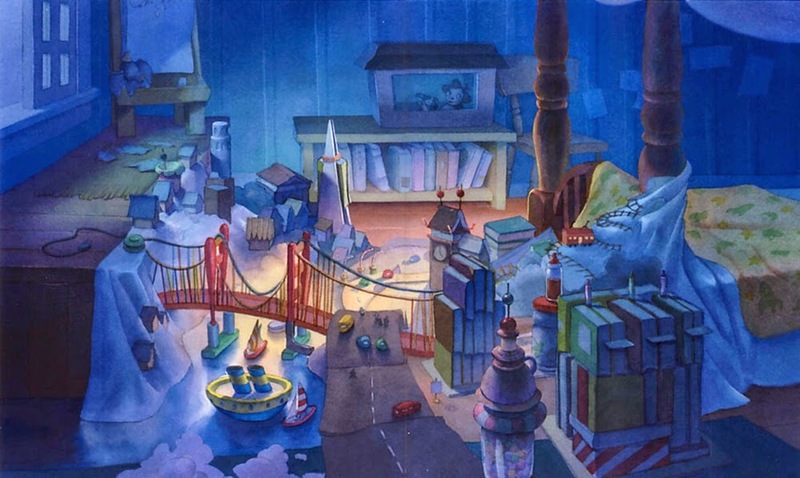 I especially enjoy this scene where Stitch creates a model of San Francisco. Even though Lilo & Stitch was set as a low budget feature, it was super successful at the box office, and remains a favourite of the 2k's generation. 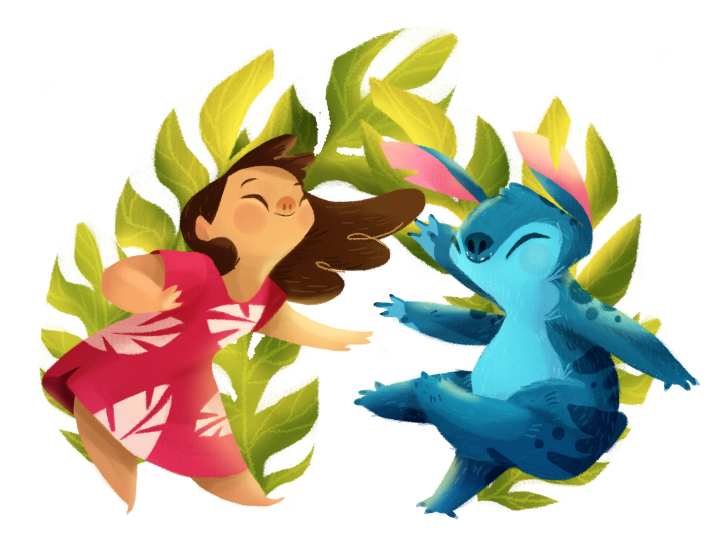 I just love this interpretation of Lilo and Stitch. Please, will you be selling prints?